4K UHD video is really sharp, but not everyone has the luck to play 4K videos properly. Common 4K video won't play issues reported in forums are video stuttering, freezing, lagging, chopping, even not loading, black screen, no sound, etc. 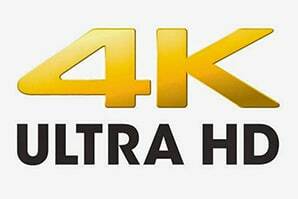 To solve Ultra HD 4K content playback problem, we should figure out why 4K videos not playing. * Why UHD 4K Videos Won't Play on VLC QT PC/Mac etc. We'll begin with how to play 4K videos. You need a 4K monitor, a 4K UHD video player that is able to play UHD video, and your PC/Mac hardware supports 4K 2160P video playback. Remember immense processing power is required to play 4K video properly. So, 4K video won't play issues are likely to be caused by poor PC/Mac hardware and bad mobile devices hardware, media player not supporting 4K video playback. Answers to 4K videos playback lagging, chopping and other 2160p 4K videos not playing problems are offered in following parts. If your computer hardware, graphics card, monitor etc. iOS Andorid phones, tablets do not play 4K videos in 2160p, and you are not planning to update, you need to compress 4K video to 1080p 720p or lower resolution of smaller file size to solve the Ultra HD 4K video movie won't play problem. A powerful enough 4K video converter and compressor can get the job done easily. 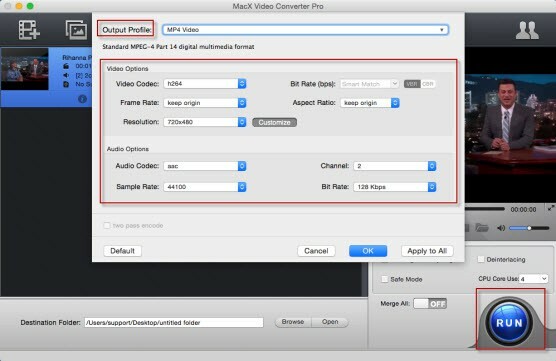 MacX Video Converter Pro is tested to be a straight forward solution to 4K videos not playing. It downscales 4K UHD video to HD 1080P, 720P video with 6x faster speed, and we can see no noticeable video quality decrease in the later 4K video playback. Read the detailed solution to UHD 4K video won't play below. Step 1: Free download 4K video converter compressor for Mac or download Windows version (10) on PC. Run it, and click "Add File" button to load the 4K video content. Step 2: Click Settings icon to start to fix 2160P 4K content playback problem. Step 3: A video customization window will pop up, go to Video Options category, and downscale 2160p 4K UHD to 1080p or 720p in the Resolution part, click "OK" button. Step 4: Click "RUN" button to start the Ultra HD 4K video won't play fixing process on Mac computer or PC. It also allows users to download 4K video from YouTube, and other 4K video sites to solve 4K live streaming/playback lagging/stuttering issues. Your device meets the 4K video playback requirements, but 4K video still won't play on VLC, QuickTime. Users often complain that QuickTime VLC won't play HD MKV video. 4K video format is to blame. You have two optional UHD 4K videos not playing solutions. 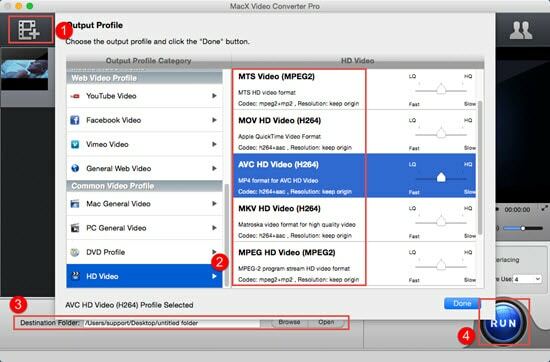 Step 1: Free download the 4K video converter Mac version on Mac computer or Windows version on Windows PC, and run it. Load 4K video file by clicking "Add File" button or dragging it to the main interface. Step 2: Choose output format. You can convert 4K UHD video of MKV, AVCHD, MTS, M2TS any formats codecs to MP4, QT formats MOV, iPhone, iPad, Samsung, HTC, Sony, Apple TV, to name just a few. Step 3: Click "Browse" button to select an output folder. Step 4: Click "RUN" button to fix the Ultra HD 4K video won't play problems. You have tons of other 4K UHD video players to choose from. However, not all the self acclaimed 4K video player can really handle 4K video playback. Many of them have 4K video playback lagging, freezing, video audio out of sync or other 4K UHD video won't play issues. Here 5KPlayer gives stunning 4K video playback performance. The top-rated 4K video player enables you to play 4K UHD 2160P videos movies of any format, codec on MacBook Air/Pro, Win 10 based Windows PC etc. freeing you from any 4K videos not playing issues. 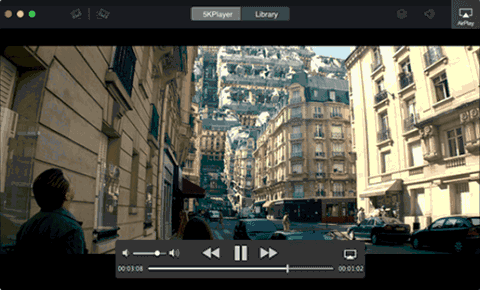 Step 1: Free download the professional 4K video player on Mac/PC, run it. Step 2: Play the 4K content by simply dragging the video into the main interface or clicking "Video" button to load the Ultra HD video. 1. 4K video file size is quite large, which lead to ultra hd 4K video not playing, 2160P 4K video not loading, black screen, 4K video playback lagging, 4K video crashing while playing, etc. You can simple reduce 4K video file size by simply lowering 4K video res following the 4K video to 1080p conversion compression tutorial above, and changing video format, frame rate, bit rate etc. 2. 4K video file is corrupt. "When exporting to 4K video I'm getting corrupt video files half the time. No content appears when playing on QuickTime and with VLC it is intermittent with green. Please advise." 4K corrupted content won't play problems can be solved by repairing 4K video with the help of video repairer software. 3. 4K streaming video playback lagging, buffering, not loading because of high bandwidth requirement. The minimal bandwidth is 15Mbps for 4K Ultra HD video online streaming. How to play 4K videos online without stuttering? The suggestion is to download 4K videos from 4K video sites instead of live streaming online.